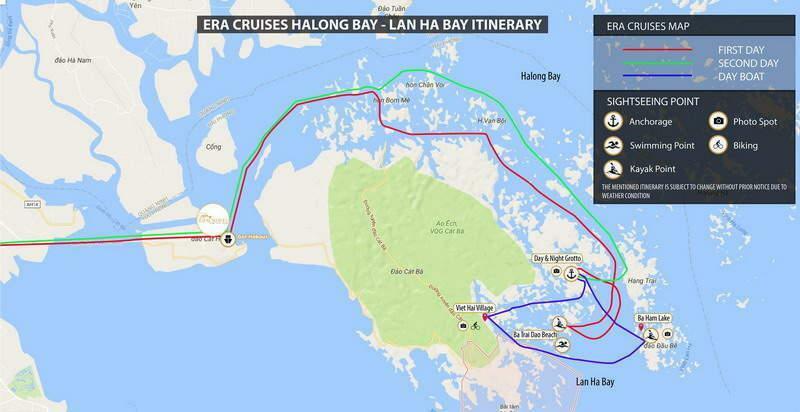 All overnight cruises have to follow either route to Bai Tu Long Bay or Halong Bay approved by the authority. Hereunder is some information with map of the 2 options. Located in the northeast of Vietnam, in Quang Ninh Province, Halong Bay covers an area of 1,553 square km, including 1,969 islands. Halong is internationally famous, twice recognized as a World Natural Heritage Site by UNESCO, for the majestic beauty of the dense rocks and islands, and the natural caves. 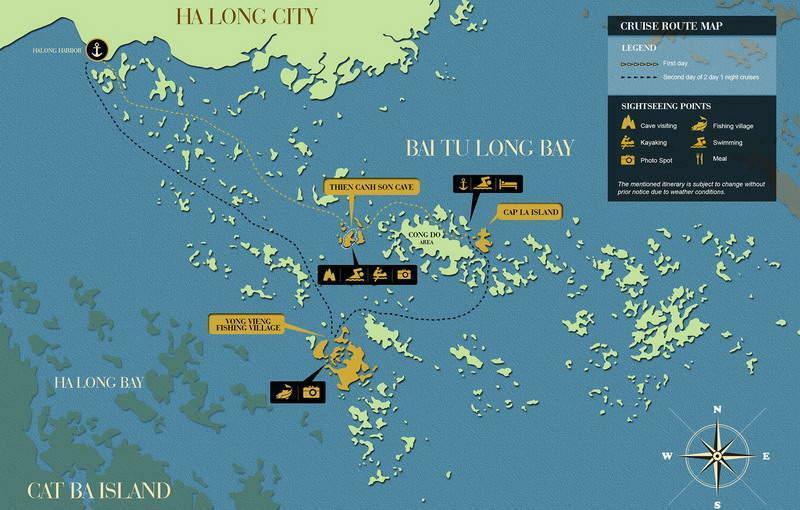 Due to its geographical position, located in the east of Halong Bay, quite far from Cat Ba island, Bai Tu Long Bay is almost forgotten by visitors. Therefore, it is so pristine and unpolluted, a “must-see” place for travelers who prefer wild nature. 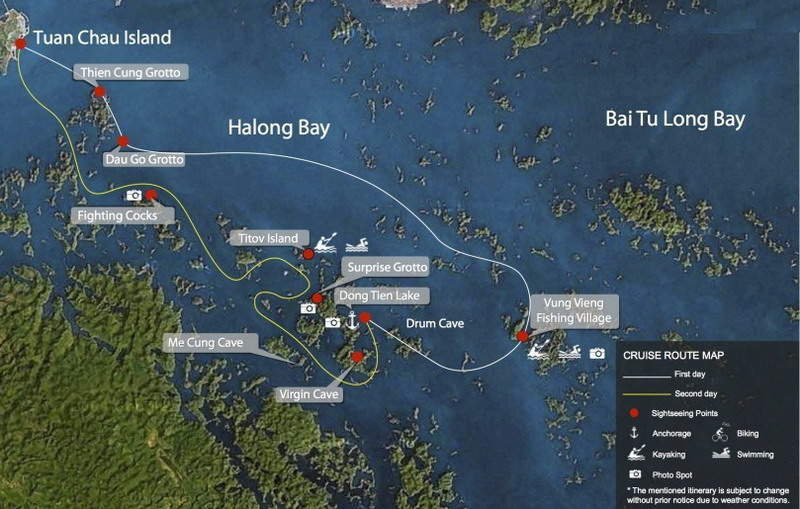 In 2006, Bai Tu Long Bay has been found in the top 5 greatest tourist destinations in Southeast Asia, according to a poll hosted by the eco-tourism company Gecko Travel (UK). Lying south and east of Cat Ba Town, the 300 or so karst islands and limestone outcrops of Lan Ha are just as beautiful as those of Halong Bay and have the additional attraction of numerous white-sand beaches. Due to being a fair way from Halong City, not so many tourist boats venture here, meaning Lan Ha Bay has a more isolated appeal.